At All Inclusive Health, we believe that everyone should be able to exercise, regardless of injury or disability. With our inclusive training services, we’re able to help those in need of specialized training get in shape and live their healthiest lives. 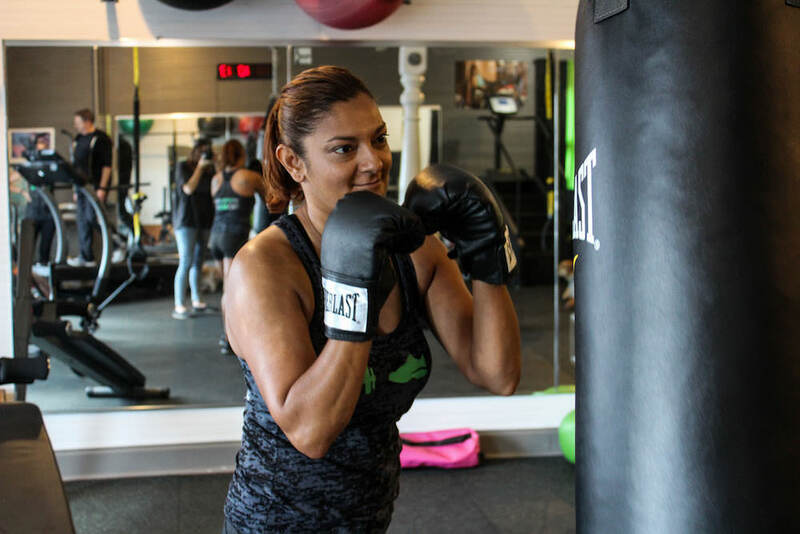 Traditional gyms and personal trainers do not have the expertise or experience to create customized workout regimens for those who need a little extra help. We take your injury or disability into account when creating your personalized fitness plan. When training those with injuries and disabilities we pay special attention to range of motion, usage of braces and splints, and limited mobility training. When you become injured or disabled, your range of motion will be limited. That means your joints might not be able to move as far as they normally would. 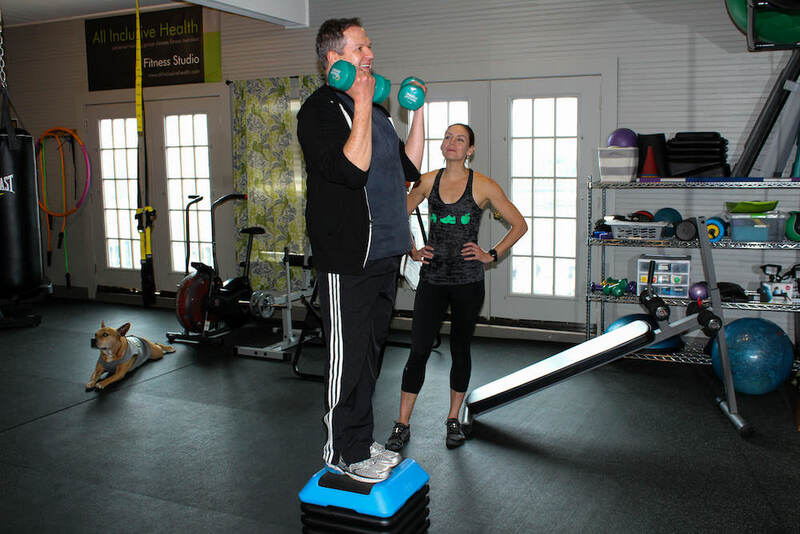 We focus on your range of motion so we can determine which types of exercises can best suit your needs and abilities. This helps us gradually improve how far your joints can move and prevent further injuries. We create workout plans to improve range of motion in joints by strengthening and balancing the biceps, triceps, quadriceps, pectorals, hamstrings, and deltoids, which are the body’s primary generators of motion through joint action. Depending on your physician’s medical prescriptions, we make sure to focus on exercises that accommodate injuries through bracing and splinting. To do this, we create custom workouts that are low-impact and easy on the joints. Workouts like these might include indoor rowing, lighter weight lifting, and exercises that increase muscle stability. We also help you manage different pain points by using customized exercise plans that target specific muscle groups. As licensed personal trainers and experienced professionals, we help you identify the painful elements of your workouts and avoid high-impact exercises. By creating a personalized approach, we can ensure that you get a total body workout during your healing process. All Inclusive Health incorporates specialized equipment for clients with limited mobility so that every person can work out regardless of injury or disability. We strongly believe that exercise should not be limited to the able-bodied, which is why we have invested in special equipment for limited mobility training. All Inclusive Health provides a safe exercise environment for all. We have exercise machines specifically made for low-impact workouts as well as routines designed for clients coming off serious injuries. For inclusive training, we are happy to provide customized personal training services to you regardless of your needs. All Inclusive Health is truly an all-inclusive gym, and we believe that anyone should be able to embark on a fitness journey. Pick your ideal package! Each training package includes an initial consultation (for new clients), personalized program design, goal setting, custom workouts with data detail (copy provided to the client), basic nutrition guidance, and progress tracking through regular assessments. We incorporate everything you need to succeed in these all-inclusive training packages. Make training twice as fun with our doubles training. You and a partner can choose from our selection of training packages and work out together while saving money. All packages include an initial consultation (for new clients), personalized program design, and detailed session and assessment data documentation for each person.